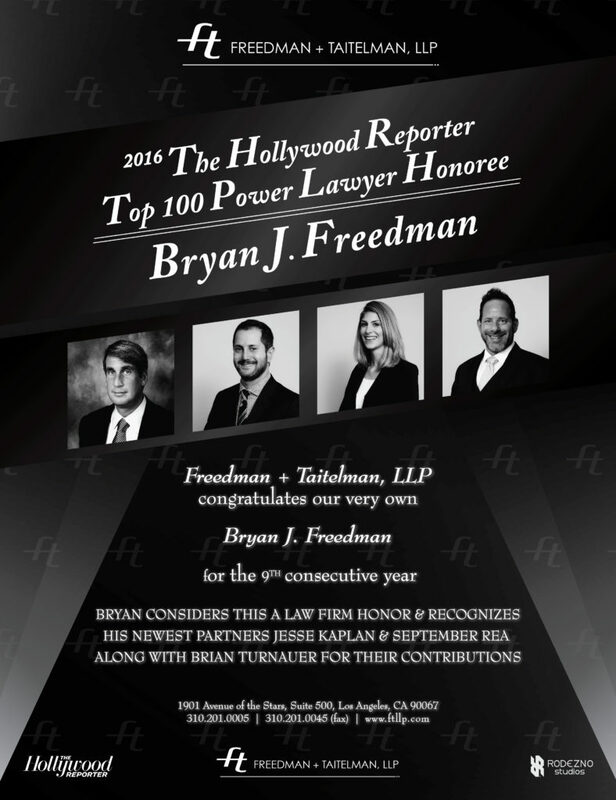 Freedman + Taitelman, LLP alternate design for their ad on The Hollywood Reporter Top 100 Power Lawyers 2016. Our wonderful client needed an ad design and handeling of all matters with THR’s print department. 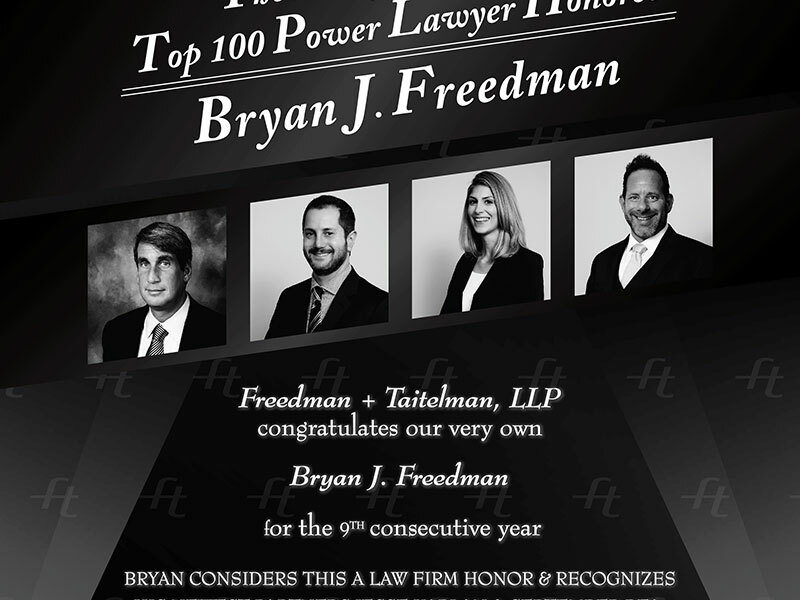 Freedman + Taitelman wanted to place a full-page ad on The Hollywood Reporter to recognize their founding co-partner Bryan Freedman for receiving the Top 100 Power Lawyer award for the 9th consecutive year. We created an effective ad that met the communication needs of our client and implemented their logo in the design to strengthen the branding experience for our client. We coordinated with THR’s team on behalf of our client so they didn’t have to worry about anything. We also took care of all the photo selection & editing, as we keep their photo assets for their lawyer headshots. Services Provided: Repetitive Logo pattern created, ad design, photo editing & handeling all matters with The Hollywood Reporter staff, including their print department.